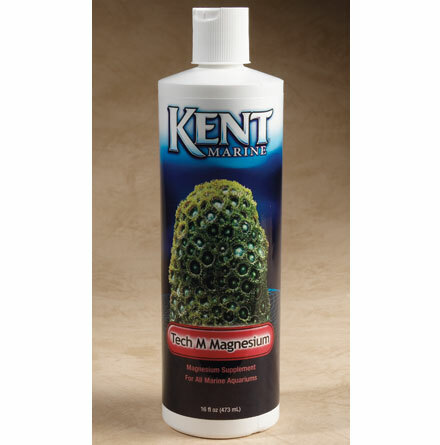 Tech•M Magnesium supplement is a ionically balanced product which will safely raise the magnesium level in any marine system without upsetting the ionic balance of the system. Tech•M is very concentrated, containing over 70,000 ppm of cationic magnesium, and is nitrate, phosphate and gluconate free! Directions: Important: Shake vigorously immediately prior to use! The preferred method is to test the magnesium level in your aquarium, then add Tech•M at the rate of 1 ml per gallon aquarium capacity per day to bring the level to between 1250 and 1350 ppm. This will raise the level by 18.4 ppm per day. As a routine supplement, if not testing, add two teaspoons (2 capfuls or 10 ml) per 50 gallons tank capacity every week in all marine systems. Considerations for use: If you have trouble maintaining calcium or buffer level, check to see that the salt mix you are using has seawater level of magnesium. To save money and increase dissolvability, some manufacturers of popular newer salts have included only half the level of magnesium necessary in their sea salt mixes, resulting in low calcium solubility and poor buffering! Tech•M Magnesium supplement will provide the magnesium left out by salt manufacturers or increase the magnesium level in any system. 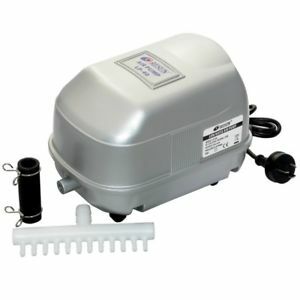 This will provide for easier maintenance of alkalinity (buffering capacity) and calcium level. Note: It is normal for this product to form a sediment in the bottle. Shaking before use will suspend this sediment which will dissolve when added to the aquarium. Contents: deionized water containing the following elements (as ions): magnesium, chlorine, sulfur, calcium, potassium, bromine, strontium, boron, fluorine, lithium, rubidium, iodine, iron, molybdenum, zinc, nickel, copper, manganese, vanadium, cesium, cobalt, tungsten, selenium, and chromium.